Can you believe January is almost over?! We are almost one month through 2017. As sad as that may seem, it also means we are getting closer to Valentine's Day! Cue 'Love is in The Air'. 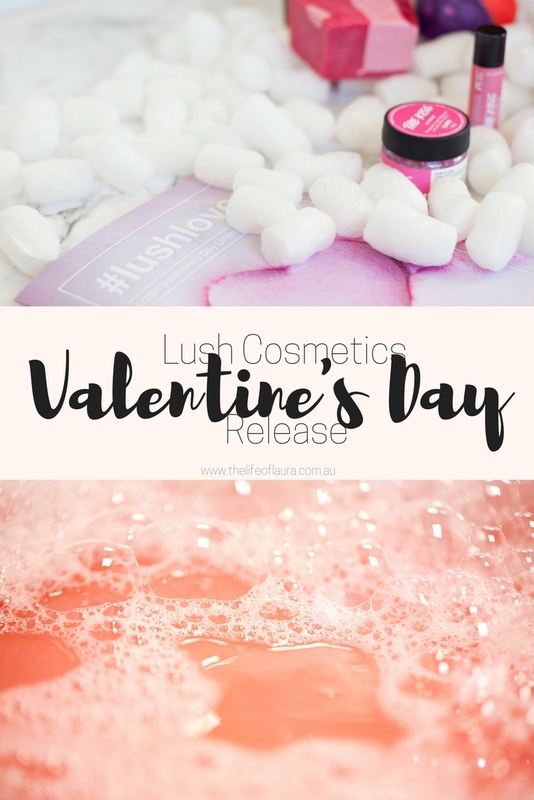 This also means that Lush's Valentine's Day range is about to be released and I wanted to share some of my favourite picks from this years limited edition range. The Valentine's Day range is one of my favourite that Lush release each year (just wait until Halloween and Christmas, I'm sure I'll say the same thing..). This year they have a number of new limited edition products that I am super excited about, but let's start with some of my favourites from last year that are reappearing this year. 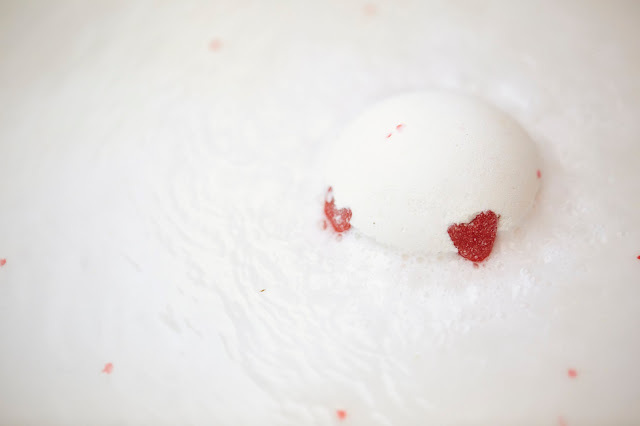 A hydrating and AMAZING smelling bath bomb that combines Brazilian Orange Oil and Vanilla. It has gorgeous little red hearts that come out to float in the water. Your skin honestly feels amazing after soaking in this, plus it's a treat for your senses too. Now I didn't try this one last year, mostly because it was always sold out at my local Lush store. It smelt divine though, so I am super glad to have this gorgeous Bubble Bar in my hands this year. It is a very relaxing scent and I think it will make the most gorgeous bath. This is one of my absolute favourites from last year. So much so, that I still have one in my bath bomb basket for last year. Crumbly this unicorn horn into your bath with make it so beautifully colourful and smell amazing. It has a lovely, subtle shimmer to make your skin look all glowy and gorgeous when you get out of the bath too. This is definitely a must have from the Valentine's Day range. Combining Sea Salt, Caster Sugar and Cocoa Butter, the Lush lips scrubs are the perfect way to replenish dry, chapped lips. They also taste so delicious, which is always a plus for lip scrubs! I find the Lush lip scrubs perfect for using before liquid lipsticks as well. So you just used The Kiss Lip Scrub and now you need something put on your lips? Well you definitely need the partner lip gloss. It is so hydrating (I've only used it twice but my lips are in love), while also having a really gorgeous subtle pink tint. Using Kalahari melon and organic Jojoba oils, it will keep your lips hydrating and looking gorgeous! In all honesty, I don't usually pick up the Lush soaps because I don't use a lot of bar soaps in the shower. However, the moment I smell this, I knew I was absolutely in LOVE with this soap. It is essentially all roses - rose petal infusion, rose oil, rose syrup and even fresh rose petals - which is also a scent I wouldn't usually go for, but it is absolutely gorgeous. I think I might need to stock up on this one! So there is my run down of what I want to pick up from the Valentine's Day release. I basically could've included everything, I mean it's Lush and you can always have more Lush, but I kept the list a bit smaller instead. Now for the details you're all interested in. When can you pick up this range?! Well, ladies and gentlemen, Australia Day is the day! Jump online on the 26th of January and fill your cart up with gorgeous Valentine's Day products that you will not be disappointed in. What are you most excited about in this Valentine's Day release?! I'm so excited for this Valentine's Day collection, I can't wait for my pack to arrive! 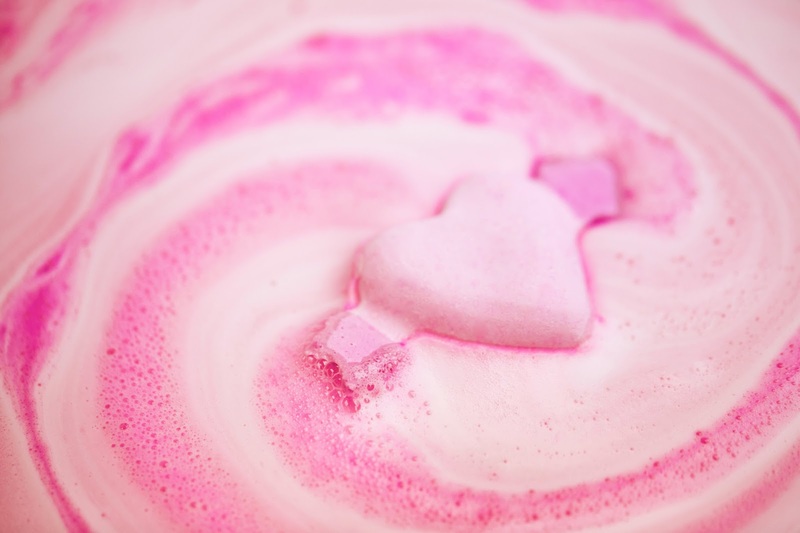 The rosy soap looks amazing and those bath bombs.... aaaah! Lush is the best! These all look so good. Lush can pretty much do no wrong in my books! The Love You, Love You Lots sounds amazing - i generally don't like rose that much but when Lush does it i know it'll be good! My God! These look like delecious sweets! I like the lip scrub ingredients but I don't get the hype around this brand maybe i never tried anything from them. Time is going past so fast! How can it be almost Valentines day!? They all look so beautiful, I have to get cupids bath bomb! 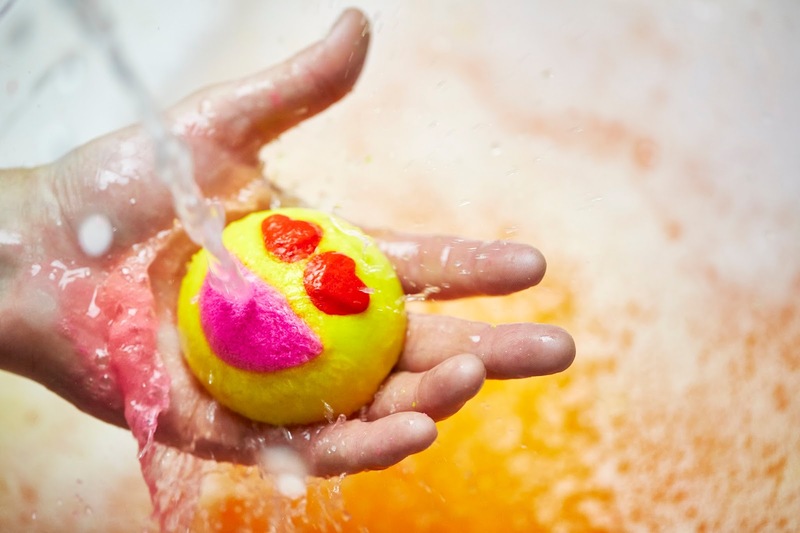 The cupid bath bomb! I think I need it!